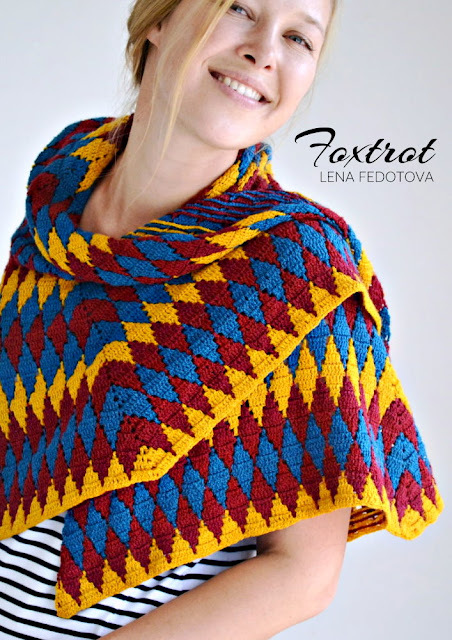 I have just released Foxtrot shawl, a new addition to my Shine On collection of the diamond stitch pattern designs. 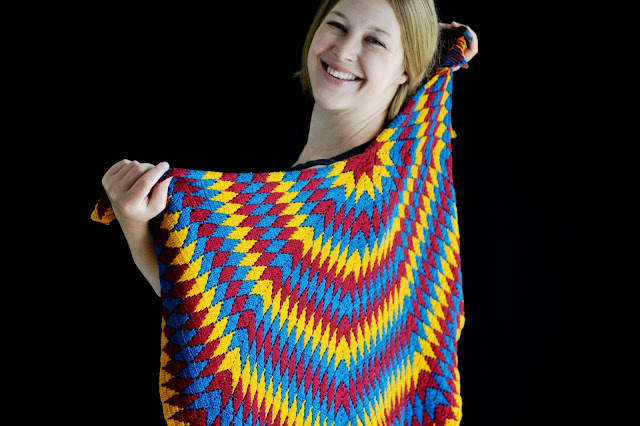 In these designs, you will alternate two colors at a time, but use only one color in each round/row. Foxtrot shawl design is the most difficult one because it is worked in rows (the rest of my "diamond" designs are worked in the round with the right side always facing). You need to pay attention to where your stitches are since all dc stitches should be left on the right side (and create the diamond pattern) and all chains should be left on the wrong side. The chains left at the wrong side create an unusual and eye-catching pattern. 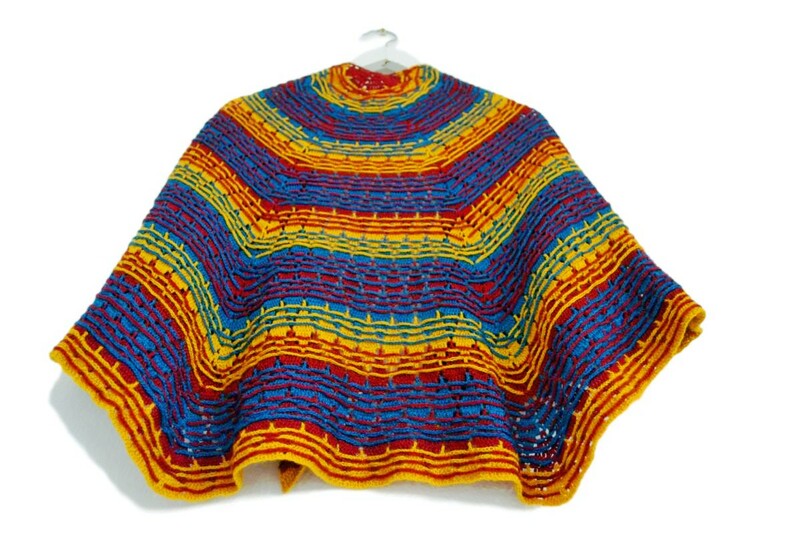 The wrong side looks beautiful, and in my opinion, the shawl is worth to be worn this side facing too. 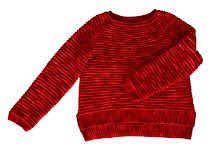 I used Fyberspates Scrumptious Lace yarn and hook 2.5 mm. 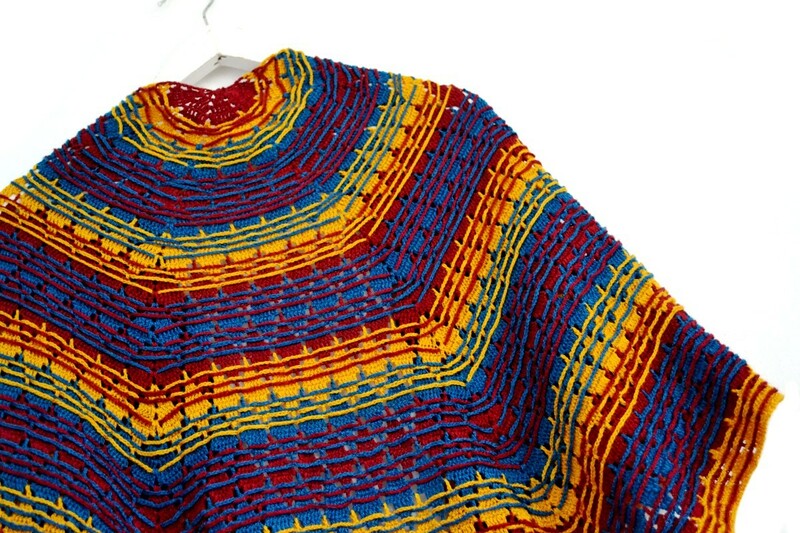 However, this shawl can be made in any weight yarn. Just bear in mind that the finished dimensions, the yardage requirements, and the size of the diamonds will change. I wanted my shawl to be not very large and consist of the exact number of wide colorful rows, that's why I chose lace weight yarn. 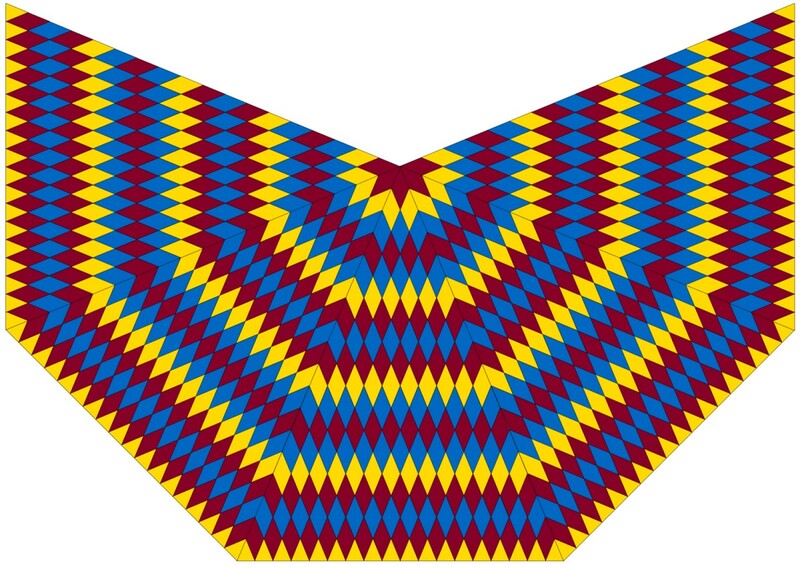 My chosen color repeat is the stripes of "blue-red-blue" diamonds and "red-blue-red" diamonds with the yellow diamonds in between. 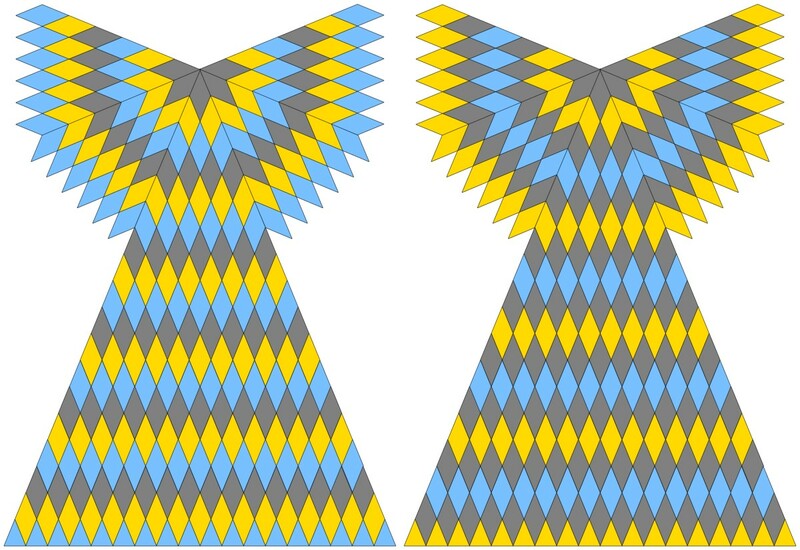 Two layout diagrams below show how the shawl will look if to alternate three colors one after another (left), and to alternate two contrast colors (yellow and blue) with the main color (grey) between them (right). The pattern also includes a couple of blank layouts to colorize and get a better visual idea of your future shawl.